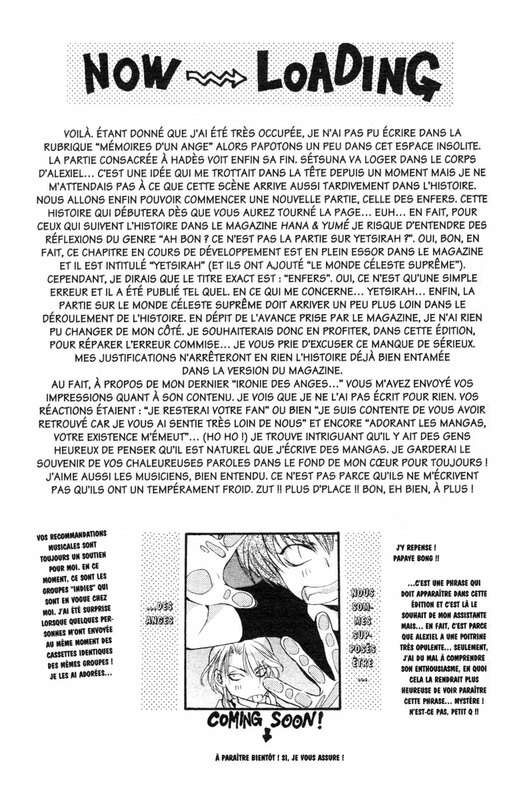 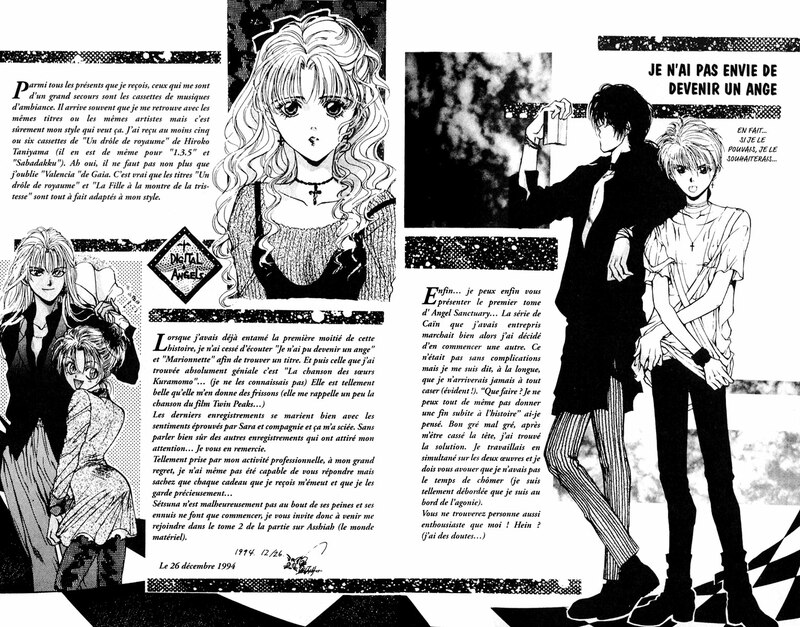 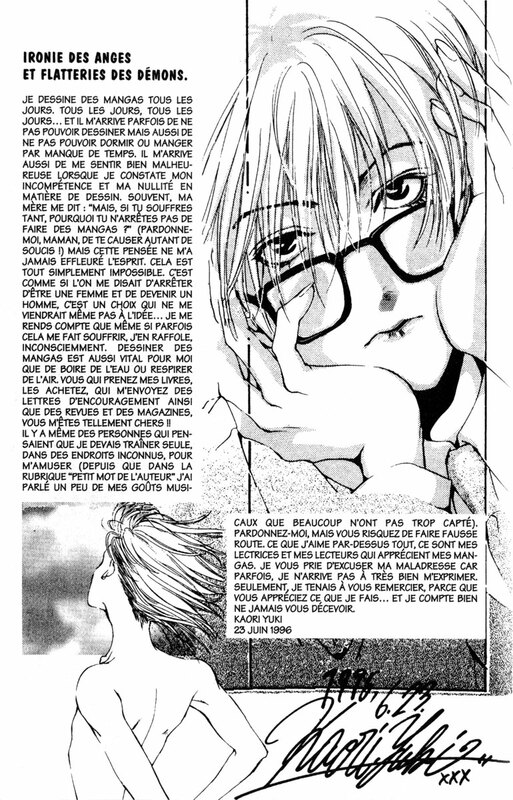 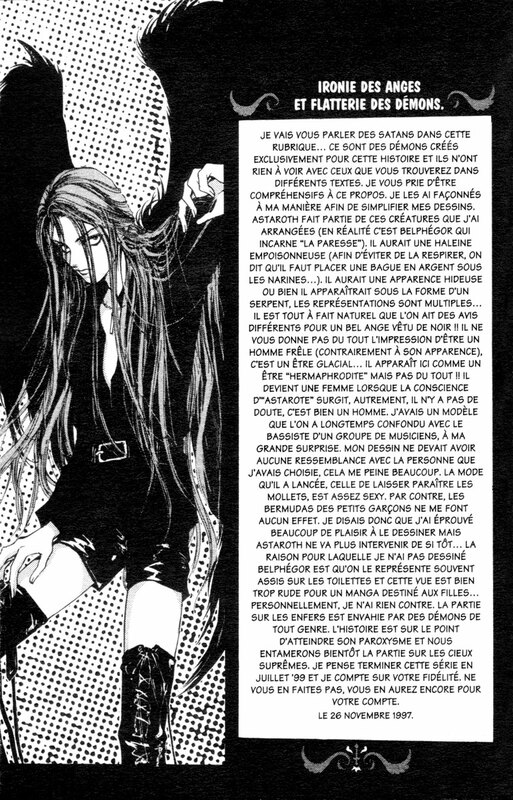 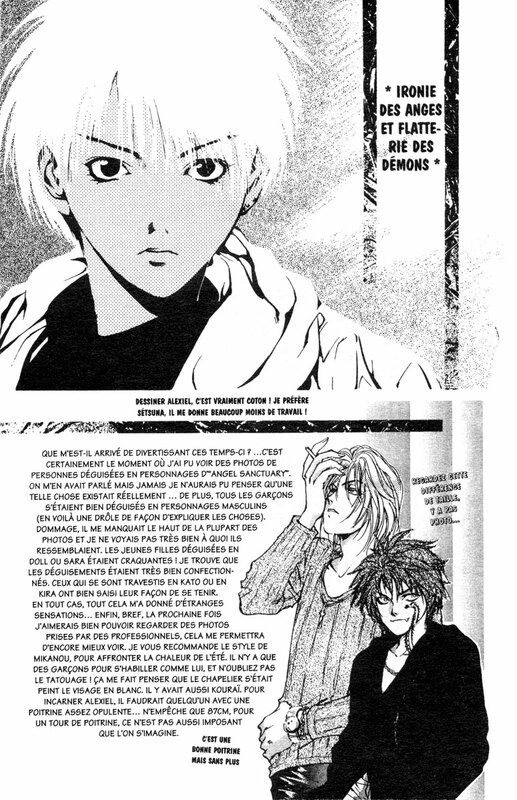 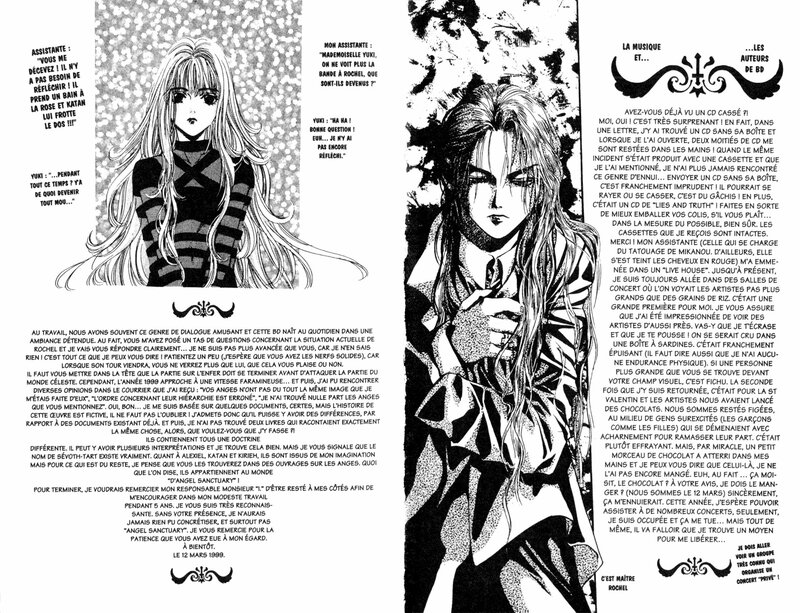 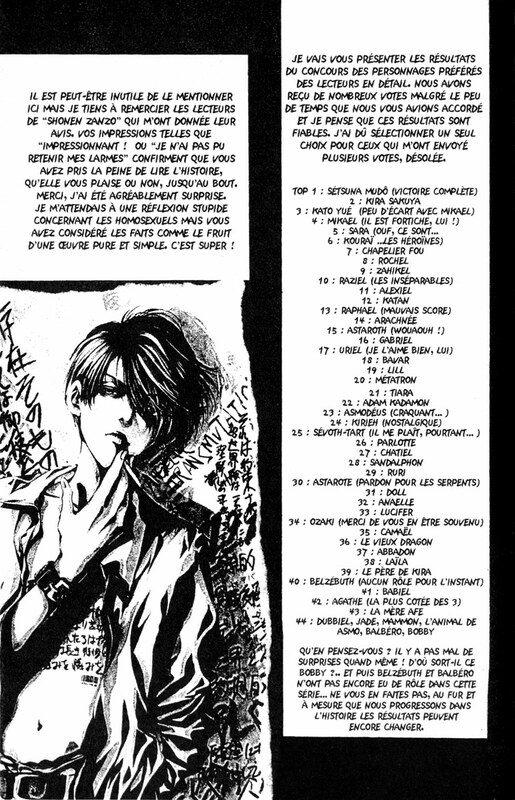 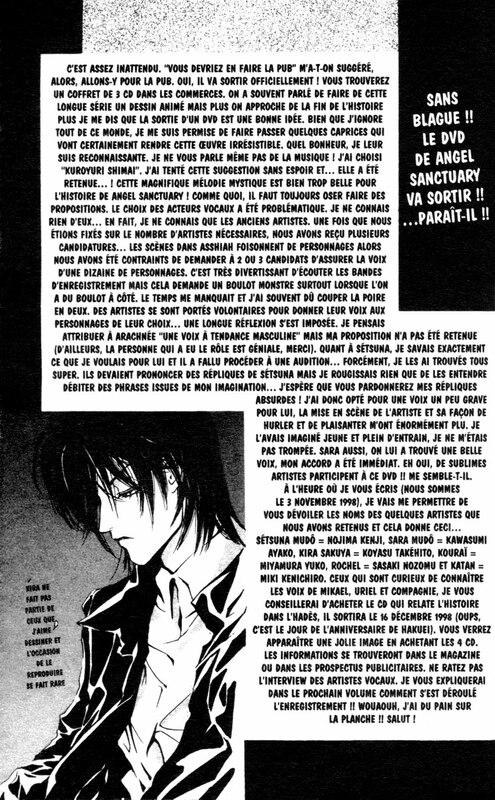 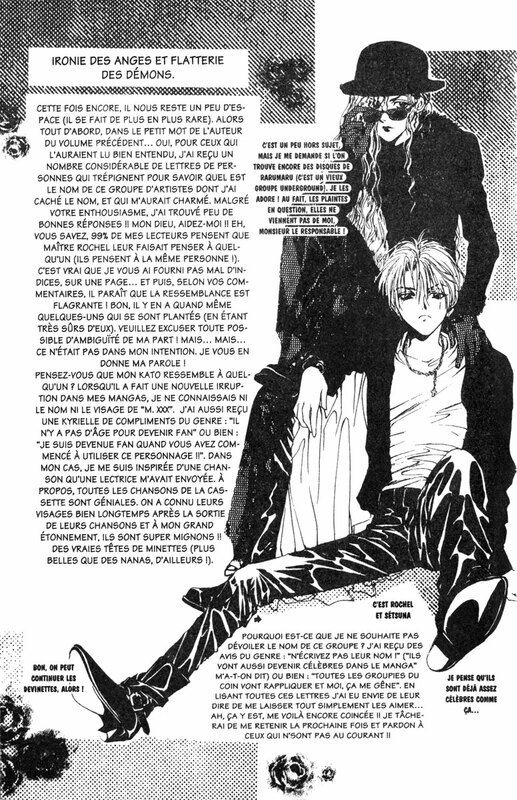 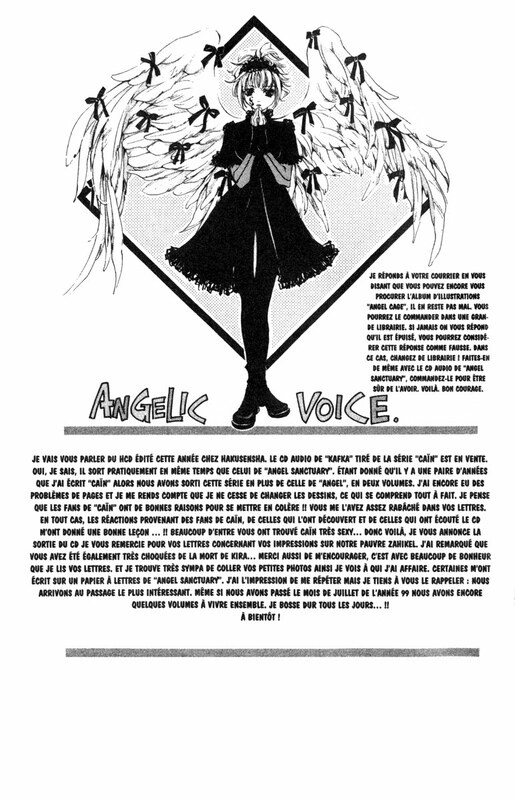 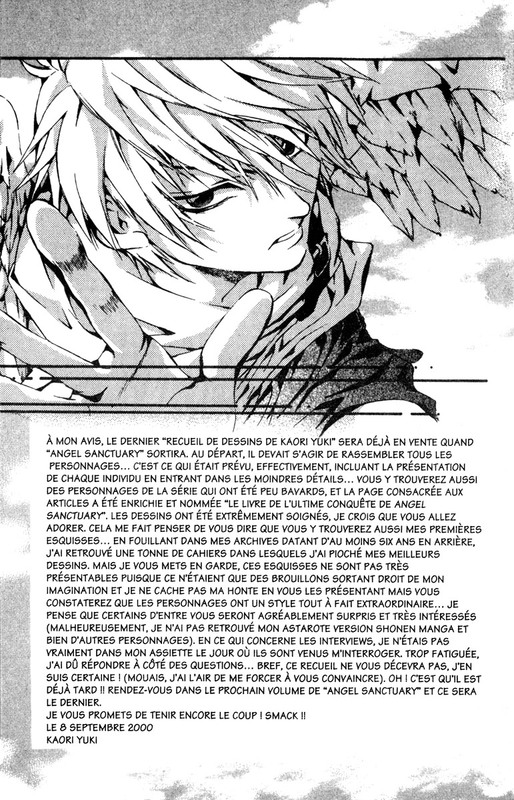 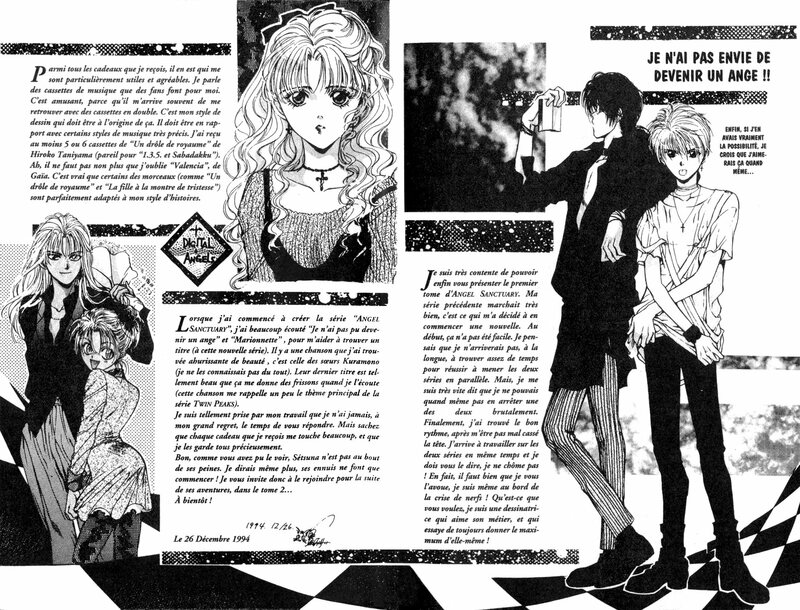 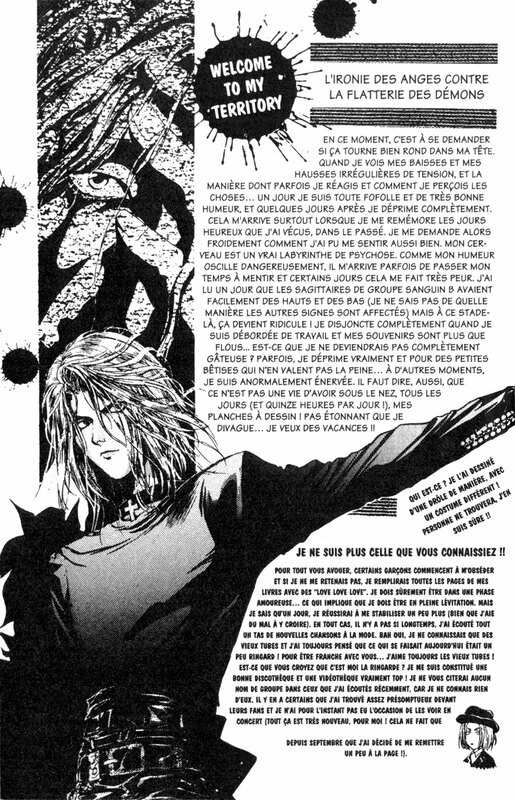 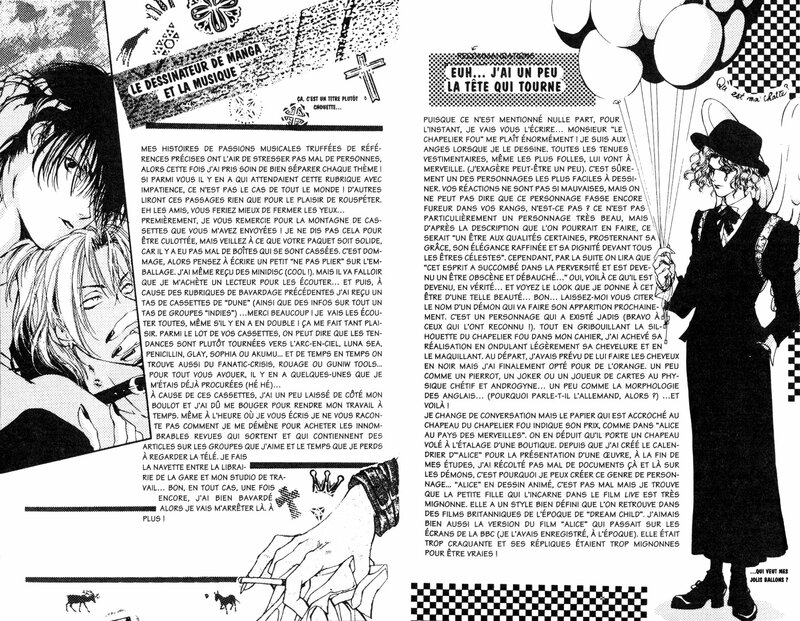 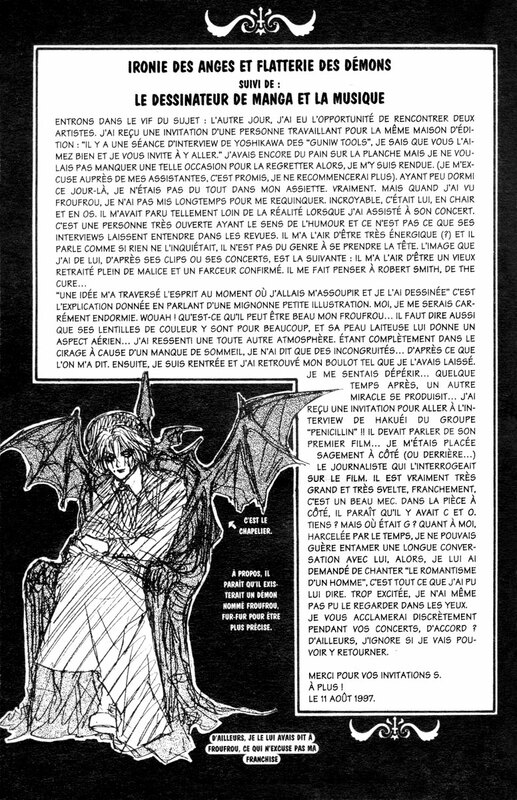 Find below all the atogaki of the standard 20 volumes edition of Angel Sanctuary (first edition / first French translation). 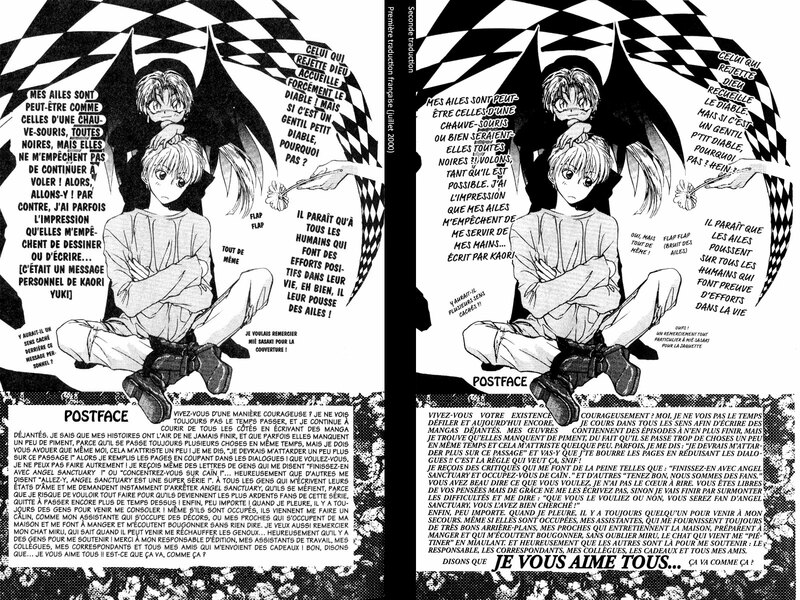 There is no atogaki in volumes 4 and 16. 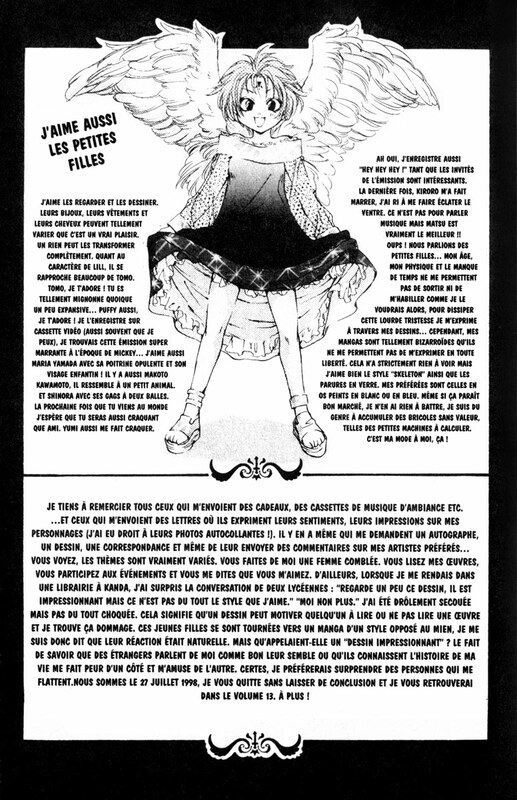 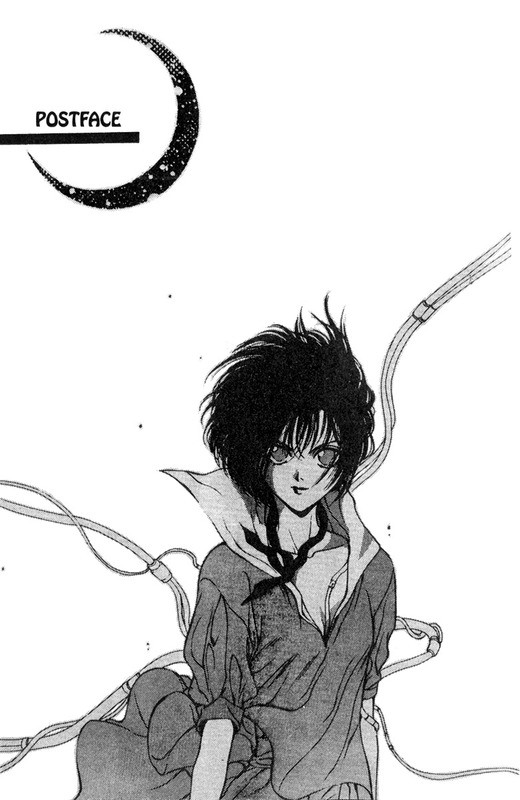 They are the little comments Kaori wrote for each chapter when it was released in a manga book, filling the space originally used for advertisement during the prepublication in the magazine Hana to Yume. 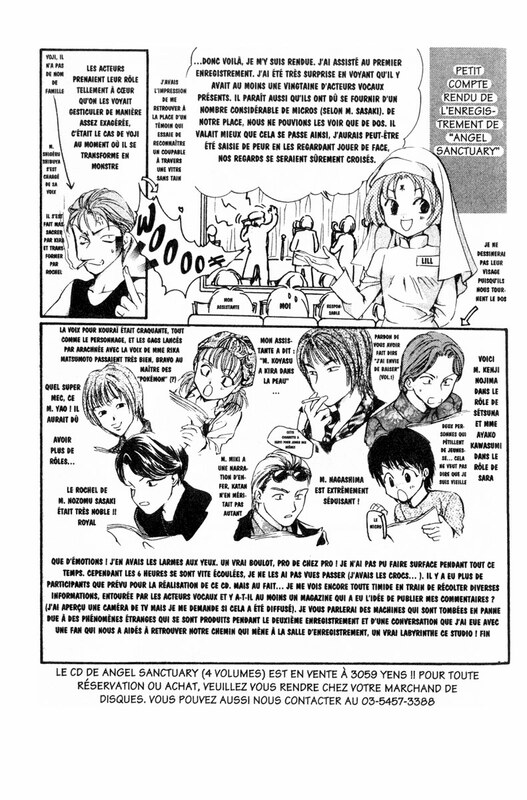 I haven't copied them here yet, but you can read them through the use of an online translator on my other site YKS.